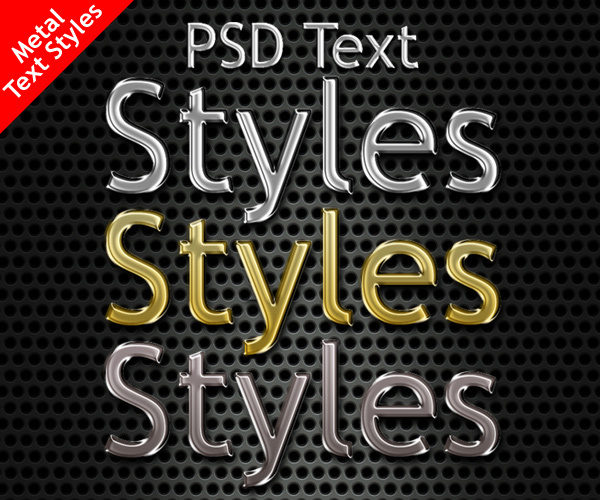 Today’s Photoshop premium download is a set of PSD text styles in Photoshop. This is a unique metal text style for a shiny steel, gold and chrome text effect. 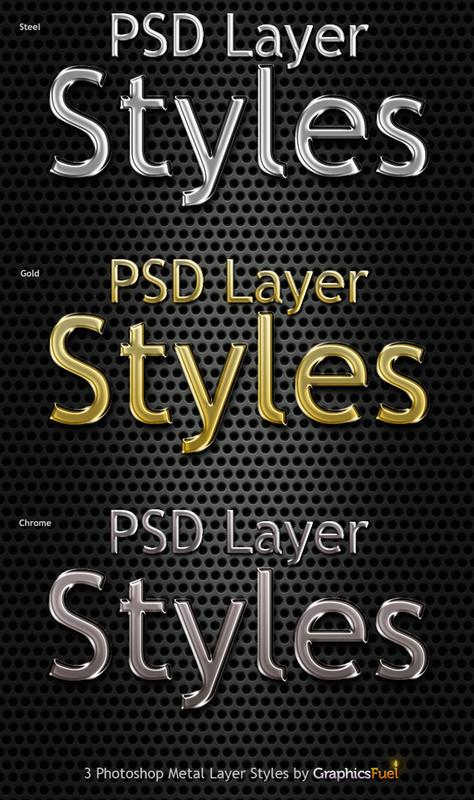 Download the PSD file and check out the text styles applied for each text to bring out the resultant effect. Along with the PSD file, .ASL file is also included so you can quickly apply the effects to your desired text.